With devolution to ‘core’ cities and ‘key’ cities being actively promoted, the opportunities for local policy making to achieve these smart objectives has arguably never been greater. Social value involves generating wider economic, social and/or environmental benefits from actions, activities, and spending decisions and this cross cuts so many of the ‘smart characteristics’ as to make it a vital component for success. The latest review of the Social Value Act made a couple of conclusions that make it hard to see why the take up of the Act can only increase, and hopefully very rapidly. The review concluded that where social value was an active component of spending choices and decisions there was evidence of real innovation in approach as well as local social, economic, and environmental outcomes being achieved. Sadly it concluded that the overall take up to date was small, so with so many obvious benefits to be gained the take up can only go one way. Generating ‘any old’ social value though isn’t enough on its own: it has to be linked in with clear area priorities at the outset so that value generated can then be used to make a real impact. Generating this impact doesn’t have to be hard – it can be quite simple – for example, a local vehicle leasing contract which contained the requirement for a local firm to be used to provide the maintenance. Simple in that it recognised the local leasing market in the area was not strong but the maintenance created and protected local jobs and business. First Ark Group recently completed a 130+ home supported living development with all services being provided by new or existing local social enterprises, from hairdressing and catering to health care provision providing local services across a wider area. The key is thinking it through at the beginning and not as an afterthought towards the end of a project. I like to see social value as part of the ‘total value’ that can be generated from what we do and the choices we make as organisations and this being extended to all sectors within the UK. I don’t see it as an exercise in reducing profitability or being in any way less commercially minded – quite the reverse. It’s been proven already that the benefits of creating a good wellbeing culture within the workplace, and the value to any employer of being viewed as a caring and responsible employer, make it easier to recruit and retain quality employees as well as customers. Commentators talk about the UK economy needing to see increased productivity to sustain long term economic growth: well just maybe social value could be one of those key components in the way all sectors in the UK do business that helps to give us both that social, as well as competitive, edge. 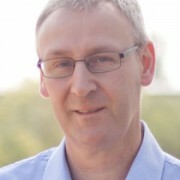 Bob is the Group Chief Executive of First Ark and an NHC Board member.